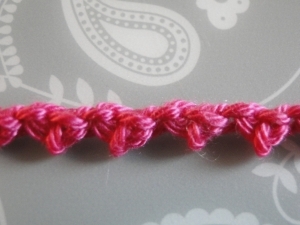 These braids are super simple to crochet, working along the chain with a few basic stitches. 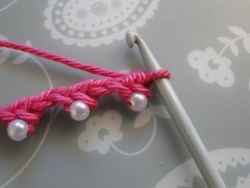 Use them to make effective edgings, cords, or embellishments for little bags etc. 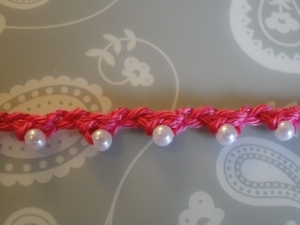 I've used 100% sport weight cotton and a 3mm hook, plus a few pearly beads where necessary. Finish: ch 1, tie off. 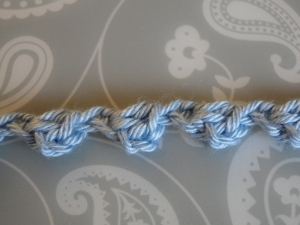 This does twist a little - with my cotton yarn, I just ironed along the braid on a medium heat. 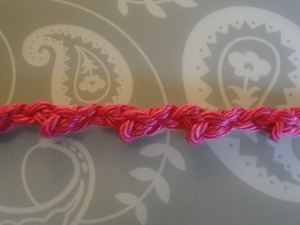 This makes a slightly more elongated braid than the one above. 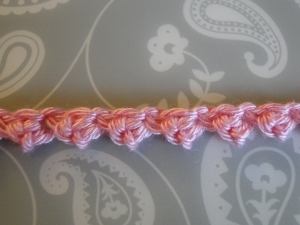 Again, a gentle iron to flatten out if using cotton. 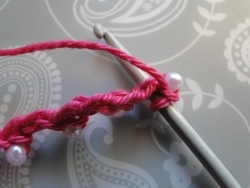 Step 1: Thread beads onto your yarn. 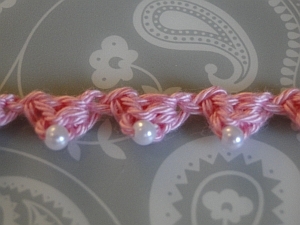 I used 30 little pearly beads for 12 inches or 30 cm of braid. And now admire your handiwork! 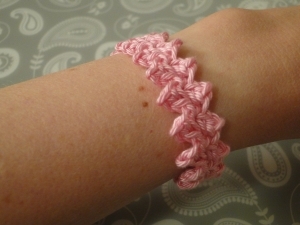 Why not work down the opposite side of this braid to make my Buttonbraid Bracelet? It has a button on one end, and a button loop on the other. 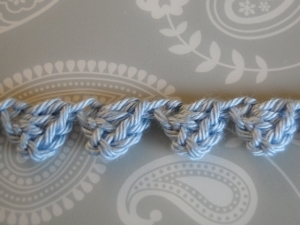 If you'd just like to work the pattern as a braid only, I tell you how to do that, too. 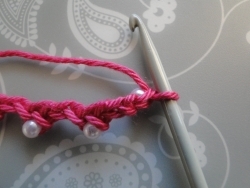 Step 1: Thread beads onto yarn. 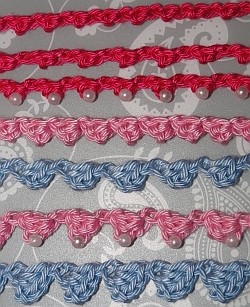 I used 9 beads for 10 inches or around 25 cm of braid. 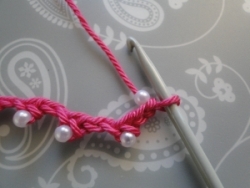 See Braid #3 above for how to add beads if you're not sure.